Pat Flanagan is a Non-Executive Co-Chairman and co-founder of the Flanagan & Gerard Property Group. With a 40-year career in property development, Pat Flanagan has acquired the necessary skills and knowledge to assess the property market, in making decisions on investment strategies relevant to the always evolving landscape of retail property in southern Africa. With his extensive experience behind a long list of developments that include Sandton City, Southgate, Hatfield Plaza, Riverside Mall, Somerset West, Northgate, Lakeside Mall and Boardwalk in Richards Bay to name a few, Pat Flanagan is widely regarded as the doyen of the property industry. The Flanagan & Gerard team are truly fortunate to have Pat so deeply involved in every aspect of Flanagan & Gerard’s property portfolio and current developments. Pat Flanagan was also the first president of the South African Council of Shopping Centres Pat is an avid stamp collector as well as an amateur photographer who thoroughly enjoys travelling the world with his wife Kathryn. Together they have been to just about every corner of the world. With an immense love for the African bush, Pat and Kath frequently travel to various safaris across the South African landscape. Peter Gerard is a Non-Executive Co-Chairman and co-founder of the Flanagan & Gerard Property Group. Peter was responsible for the listing of 6 property funds, being Sycom (1986), RMSProp (1987), Tricom (1988), Growthpoint (1988), Milprop (1996) and Newport (1998). Peter has the key skills to assess the viability of a property development, with the key feature being the sustainability of the retail asset. Even with demands of a prodigious professional career, Peter has excelled equally in his personal life. Whether it be his love for a rare wine, long lunches with friends and family or travelling the world with his wife Karin, Peter lives his life to the absolute fullest. Paul Gerard is the Managing Director who has played a significant role ever since joining Flanagan & Gerard in 2004. As such he has developed a wealth of experience under the mentorship of both Pat Flanagan and his father Peter Gerard. Paul is intimately involved in all aspects of the business and is deeply respected by the team he leads. In the office, Paul has created a positive culture with his open door policy and drives the team to excel in every aspect of the company. With his competitive nature, Paul truly leads the team from the front. Whilst living a very active lifestyle that includes regular visits to the gym and the squash court, Paul enjoys weekend mountain bike rides with friends, practicing his golf swing with his work colleagues and spending time doing various activities with his kids. Being a family man, Paul and his wife Hayley, enjoy every opportunity to travel the world with their three children. John joined Flanagan and Gerard in 2006 and is Director of the company. Originally from the UK, John primarily oversees the Flanagan & Gerard portfolio and has developed close relations with almost every significant retailer in South Africa. John has also been the driving force behind the introduction of all developments to many of the new international brands entering into the South African market. John has an insatiable passion for music. When not at home playing his acoustic guitar, John is involved in grass root CSI projects that teach kids with an informal background how to create and play music. 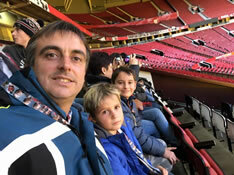 Rowberry is a proud parent of his two sons, Thomas and Max and always enjoys his weekends supporting them when playing football for their school teams. When competing in laser tag or paintball competitions with friends and family, Rowberry and his two boys are fiercely competitive. Chris joined the Flanagan & Gerard team in August 2009 and was promoted to Leasing Director in August 2014. The wealth of knowledge passed down from Pat Flanagan and Peter Gerard has been invaluable and well utilized over the years. It was under this leadership that Chris acquired a deep knowledge of the long term leasing process. In this period, Chris and his team have successfully delivered seven regional malls and two high-end niche community centres. Outside of his working life, Chris is the father of two daughters. He is also an avid sportsman who enjoys squash, running, golf and mountain biking. 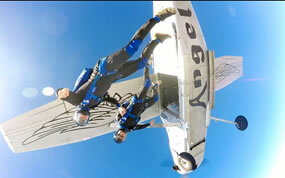 Competitive skydiving is however his longest standing passion. To date Chris has secured 8 titles as South African national champion and has competed all over the world. Jonathan joined in 2012 and was promoted to Director at Flanagan & Gerard. Jonathan’s responsibilities previously include the management of Morningside Shopping Centre as well as the leasing and asset management for Heidelberg Mall, Vaal Mall, Springs Mall and now Maluti Crescent. Currently Shutte plays an active role in leasing across the whole portfolio. With a sensitive approach to development challenges, Jonathan has accumulated a wealth of knowledge under Paul’s leadership which has made his outlook invaluable to all projects he is involved in. 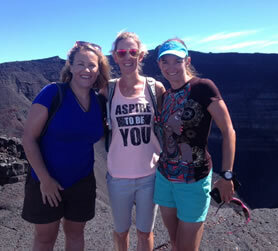 Shutte lives a very active life by running marathons, swimming, gym training and playing golf. 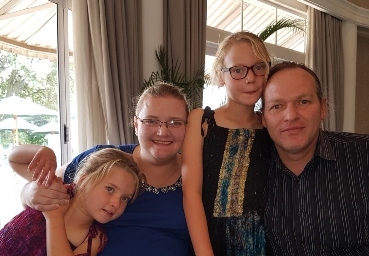 In his spare time, Shutte’s passions include fishing and regular visits to Cape Town with his wife Bridgette and their three children, Jade, Mia and Matthew. Equipped with an honors degree in Construction Management and following a short stint at Stefanutti Stocks Civils in 2012, Gareth joined the Flanagan & Gerard team in 2013. Whilst playing a significant role in the development management team, Gareth was responsible for the Vaal Mall expansion and Springs Mall projects. Gareth is currently overseeing the Maluti Crescent development in Phuthaditjhaba, located in a section of the Maluti Mountains, which is scheduled for completion in the first quarter of 2019. 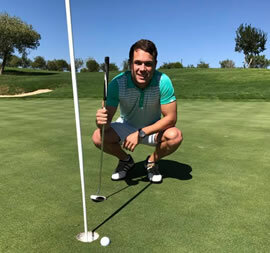 Whether Sanders spends his time on golf courses, rugby fields or cricket pitches, his natural ability to pick up any ball sport has made him a competitor who is always in high demand. Joanne has been with the Flanagan & Gerard team since 2013. Working closely with Karyn Southgate, Joanne is responsible for all bookkeeping aspects in the Flanagan & Gerard finance department. Joanne adds a gentle, caring element to the team by remembering all office birthdays, special occasions and often participates in arrange events for the team. 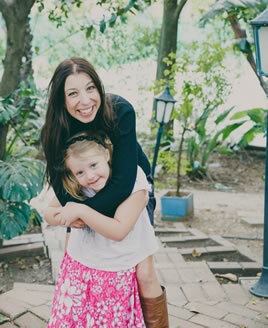 Joanne along with her husband Andrew, enjoys spending time with their two daughters Charlotte and Emily. As a family, the Johnson’s have a passion for arts and crafts as well as knitting, crocheting and pewtering. With a residential property background, Jason joined Flanagan & Gerard as a lease administrator at the beginning of 2014. 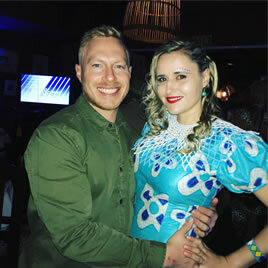 However since 2015, Jason’s role has somewhat evolved from being part of the Ballito Junction leasing team, to being responsible for all marketing aspects as Marketing Manager. Jason has a passion for music, enjoys participating in MTB and road cycling races, squash, swimming and running. When not being active, Jason enjoys spending time with his fiancé Amanda and their son Austin. Karyn Southgate is the Financial Director at Flanagan & Gerard and plays an influential role in asset management throughout the portfolio. She joined Flanagan & Gerard part time in 2008 after leaving SA Breweries, and came on board full time in 2012. Karyn is a competitive sportswoman who regularly participates in various off-road triathlons, both locally and internationally. 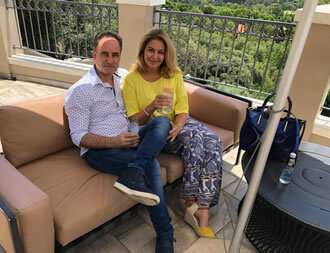 When not taking advantage of every opportunity to travel the world, Karyn also enjoys simply spending time with her friends and family, even if its around the braai with a good glass of wine. Since joining Flanagan & Gerard in 2014, Andrew has had an open portfolio working on all aspects of development and has been instrumental in dealing with various councils and municipalities throughout the current projects portfolio. Prior to joining Flanagan & Gerard, Russell specialized in business development and raising capital for new projects. Previous clients include the Provincial Government of the Western Cape, The Rockefeller Foundation, National Treasury, Ford, ITS Engineering and the Cape Town Partnership. Andrew is an adventurer and enjoys all things off track. His long list of captivating stories include riding the East Africa Rift Valley on an off-road motorbike; hitch hiking through amongst others, Uganda, Kenya and Tanzania as well as seasonal rides through the Maloti Mountains of Lesotho. 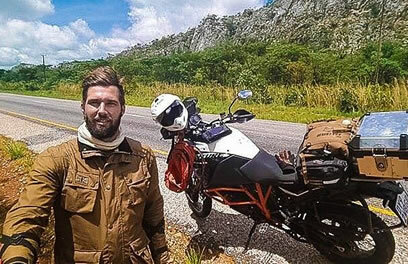 Andrew’s remarkable record breaking journey from Cairo to Cape Town on his KTM 1160 in less than 8 days was achieved in January 2018. He smashed the previous record set by the Swiss endurance rider Urs “Grizzly” Pedraita in 2016 which took 13 days and 23 hours. Nkateko joined the Flanagan & Gerard team in 2014. Nkateko leads the team that focuses primarily on rural regional shopping centre developments throughout South Africa. Nkateko previously worked with Deloitte Consulting focusing on the public sector. Her roles included leading strategic engagements in the firm’s Real Estate and Facilities Advisory Services division. Nkateko loves spending time with her teenage daughter, who both enjoy regular visits to her parent’s avocado farm in Limpopo. Elsje is the Director of Development at Flanagan & Gerard. With immeasurable experience in retail development that spans over an extensive period, Elsje previously worked for Orion Projects. Originally a practicing architect, Elsje moved into project management and tenant co-ordination before joining Flanagan & Gerard in 2014. Playing a significant role in numerous major retail shopping centre developments, Elsje became famously known as the Iron Lady by leading the development teams responsible for Morningside Shopping Centre, Nicolway, Woodlands Boulevard, Soshanguve Crossing, Highveld Mall, Eyethu Orange Farm Mall and Mall of the North amongst others. Elsje has recently added the completion of Springs Mall, Ballito Junction and Thavhani Mall developments to her list of accomplishments and is currently overseeing the various phases of the Thavhani Precinct development and Maluti Crescent which is scheduled to open in March 2019. 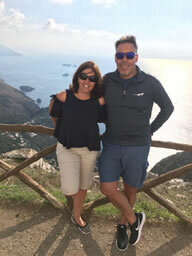 Elsje’s love for architecture has created a passion for travelling the world and indulging in spa retreats with her partner Rui, as well as frequent fine dining experiences paired with a good wine. Josua joined the team as Development Manager in March 2015 and works closely with Elsje Bodenstein on all development aspects. Starting as early as 2012, Josua has gained vast experience in the retail sector as a Project Manager, specializing in time management and tenant co-ordination. Whilst Josua was instrumental in ensuring that Ballito Junction Regional Mall opened on time, his current responsibilities include the Builders Express under construction in Thohoyandou, the tenant co-ordination at Thavhani Mall as well as overseeing the entire Thavhani precinct development. Botha enjoys all aspects of sport and keeps himself in shape by attending regular CrossFit classes. In his spare time, Josua and his wife Eleanor regularly visit their family’s farm in Heidelberg. 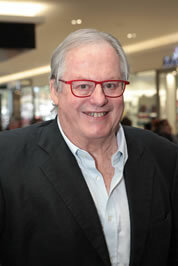 Joining Flanagan & Gerard in 2015, John was responsible for the leasing of Ballito Junction Regional Mall. His current portfolio consists of finance, asset management, operations and has since been promoted to a Director at Flanagan & Gerard. 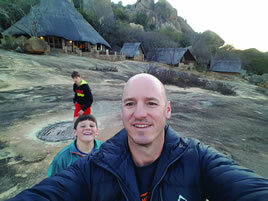 John has a diverse background stretching from his role in chartered accountancy which was obtained at KPMG, to being a game ranger at the famous 5 star Londolozi Game Reserve for a couple of years. Before joining Flanagan & Gerard, John briefly worked at Alpha Capital. In his spare time, John enjoys wildlife photography and regular visits to the African bush. His passion for traveling has taken him and his wife Teneale to all four corners of the globe. 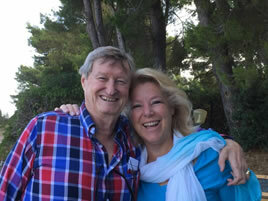 When at home, John enjoys running with his wife as well as touch rugby with close friends. 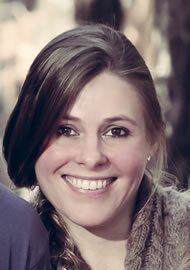 Before joining Flanagan & Gerard in 2011, Dominique Scheel gained a wealth of knowledge in design and applied her trade as a graphic designer. Currently Dominique’s diverse portfolio encompasses the leasing of current developments and the on-going leasing management of Thavhani Mall and Springs Mall. Whilst playing an important leasing role, Dominique is primarily responsible for all design aspects of the Flanagan & Gerard brand and works closely with Jason Nel in the marketing department. In her spare time, Dominque enjoys a healthy lifestyle by riding mountain bike trails with her husband Reeve and spending time with their daughter Hannah. With a keen interest in German culture, Dom’s passions include home brewed beer, organic farming and regular visits to Knysna, her favourite holiday destination. Originally from the UK, Karen Pennington has a career path spanning Financial + FMCG Recruitment, International Business Process Outsourcing and Business to Business IT Sales. Karen is a very dynamic addition to the leasing team at Flanagan & Gerard. Since joining the team in early 2015, Karen was instrumental in the leasing of the Menlyn Maine Central Square development and is currently focused on the leasing of Maluti Crescent development, Springs Mall and Thavhani Mall. Karen is a lover of the outdoors and keen runner in her spare time. Karen has a passion for fashion as well as creative culture and arts that Johannesburg and South Africa have to offer. Nelia has been in the property industry for over 15 years and has been responsible in various property management roles with Marriot, CBS Properties, PIC and Finlay Property Services. Nelia joined the Flanagan & Gerard team in June 2013 as Centre Manager for Morningside Shopping Centre and within a year, joined the asset management team to oversee Flanagan & Gerard’s property portfolio. 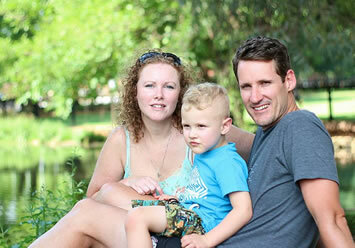 In her spare time, Nelia spends most weekends boating and skiing at the Vaal with her husband Charl, close friends and family. With a passion for Vespa’s and good cooking, Nelia and Charl are members of a Vespa club that travel to various destinations throughout Johannesburg to experience diverse cultural dishes.